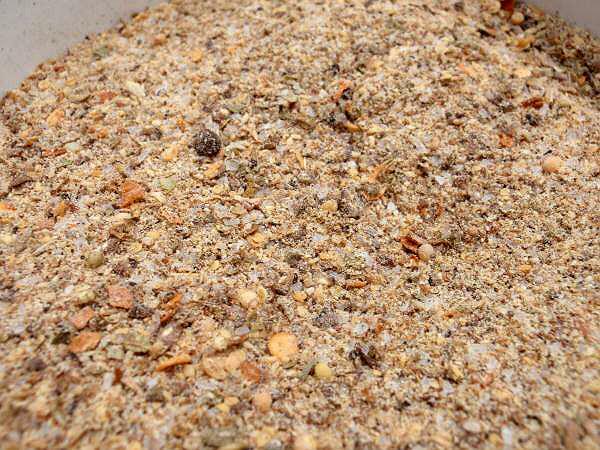 Looking for a Montreal Steak Seasoning Recipe that's better than the one you buy in the store? Look no further! Montreal Steak Seasoning is probably my favorite all around spice. It enhances the flavor of any kind of steak, corned beef, pork chops, chicken, hamburgers, meatloaf, chili, and even chicken and turkey burgers. Use it as a rub by mixing it with oil to make a paste for grilled salmon. This is such a wonderful spice and you can use it in just about anything! Mix everything together and store in an airtight container with the rest of your spices. ***************************************************** This spice blend is not exactly the same as the Montreal Steak seasoning that you buy in the store but, in my opinion, it's actually much better. The original steak seasoning doesn't have mustard seed or cumin but I think the smokiness of the cumin and the bite of the mustard seed really make this spice blend extra special! I have an electric coffee bean grinder that I use just to grind up spices, if you don't have one to grind up the peppercorns and the mustard seeds, you can use a mortar and pestal and if you don't have either of those, you can always put them in a heavy duty freezer bag and hit them a few times with the flat side of a meat mallet like you use to flatten or tenderize a tough cut of meat. **Did you know: Montreal Steak Seasoning originated in Montreal, at Schwartz's Deli. It's the oldest smoked-meat emporium and Deli in Canada opening it's doors on Boulevard St. Laurent in 1928.